Recently performing with Food at the Bath festival the Anglo-Norwegian band is to return with the follow-up to the acclaimed Quiet Inlet in September. 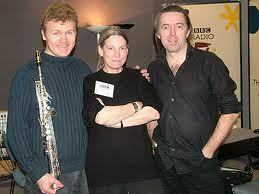 The band, which fuses a sense of English pastoralism with airy Nordic textures, is to be released again by the ECM label, with the album, as yet untitled, bringing together Iain Ballamy and Thomas Stronen, with guitarists Christian Fennesz and Eivind Aarset, plus trumpeter Nils Petter Molvaer and south Indian slide guitarist/singer Prakash Sontakke. That’s not all, as Ballamy’s relationship with ECM has blossomed to also encompass the debut of the band Quercus expected next year. Quercus sees the saxophonist joined by pianist Huw Warren and folk singer June Tabor, with tracks including traditional folk songs and music by the elegiac John Dowland who Warren has championed in the past, and new music from Ballamy including a setting of Shakespeare.